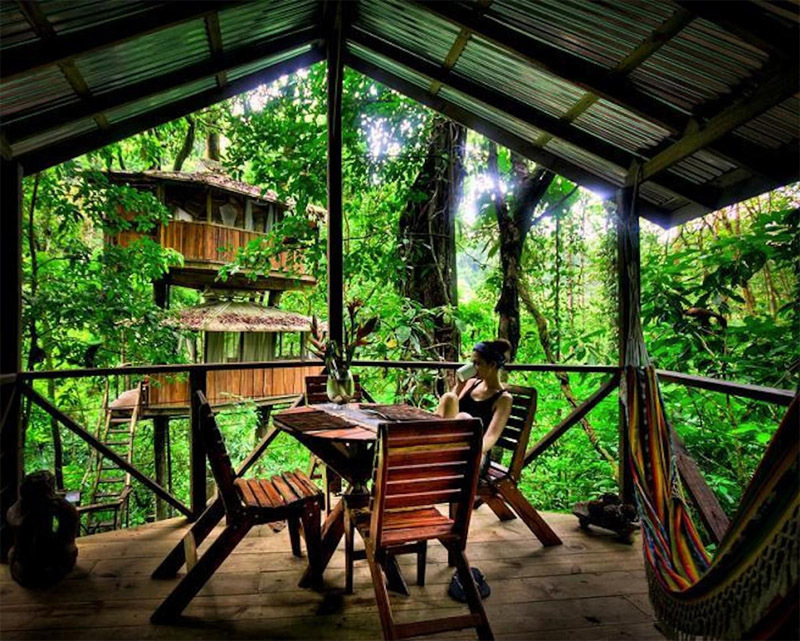 We’ve seen tree houses that function as oversized sculptures, play structures for kids, sky-high tea houses and elevated retreats for work or meditation, but how many tree house designs actually fulfill dreams of living in the forest canopy full-time? 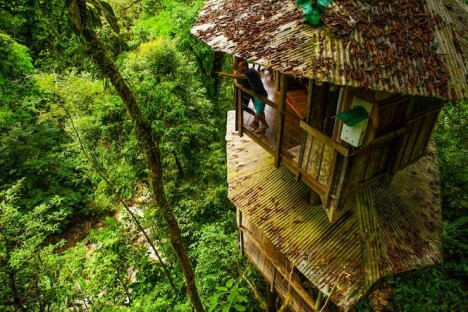 These 12 residential tree houses range from traditional huts built over a hundred feet above the forest floor to a stunning ultramodern cylindrical glass house that envelops an entire tree. 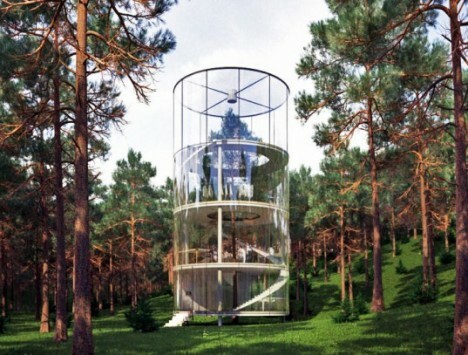 This ultramodern, all-glass cylindrical house isn’t just in the trees, it contains one. 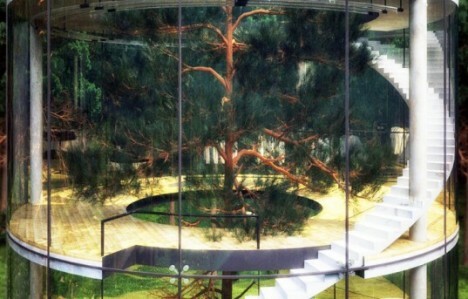 ‘Tree in the House’ by Masov Aibek is a four-story residence in the woods of Almaty City, Kazakhstan with a spiraling staircase leading to each completely transparent level. 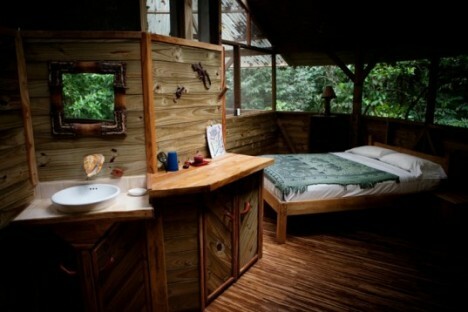 A few plasterboard walls provide privacy for the bathroom and sleeping areas. 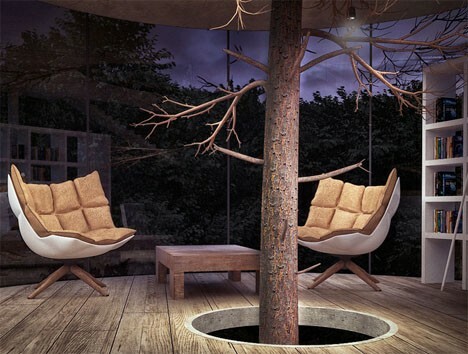 The house will be available for rent, and though it may seem like it’s only suitable for exhibitionists, its location deep in the forest makes privacy less of a concern. 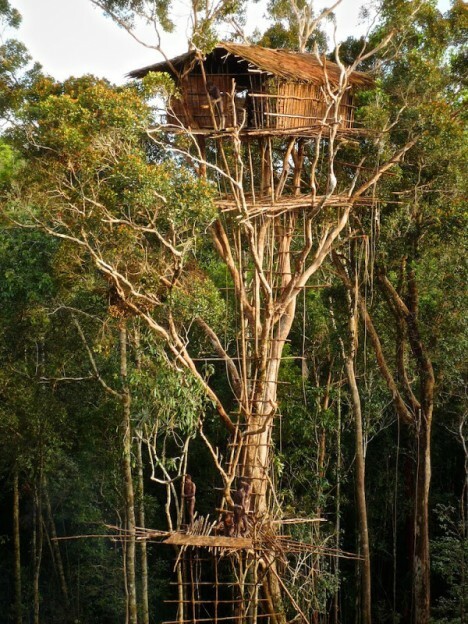 Papua New Guinea’s Korowai Tribe is just one example of people who have traditionally built their homes in the canopies of trees, some as high as 115 feet off the ground. 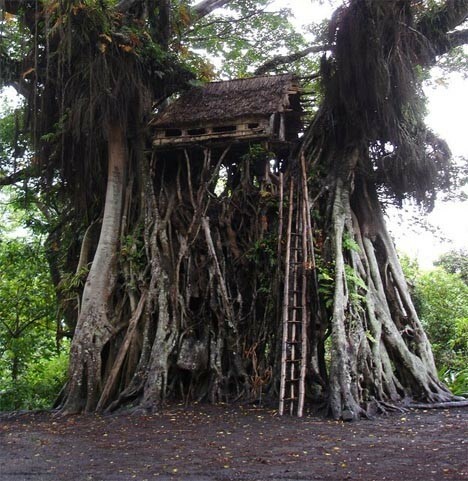 The houses are typically built in a single sturdy Banyan tree, with poles added for extra support. 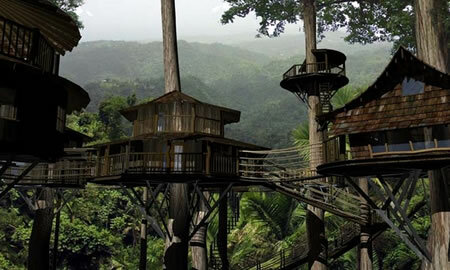 Each house accommodates as many as a dozen people. 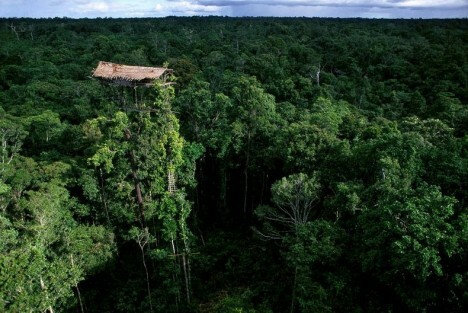 Elevated houses can also be found in flood-prone areas of India, Cambodia and other Asian nations. 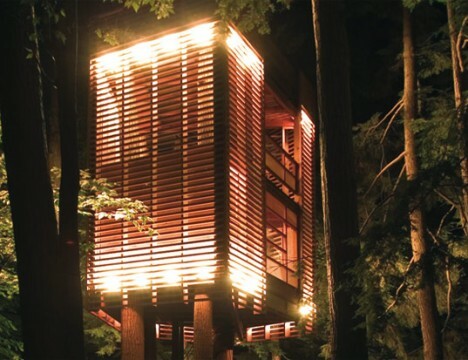 Looking a bit like a Japanese lantern when it’s illuminated at night, the 4Treehouse by Toronto designer Lukasz Kos is a modern take on the classic wooden tree house with a facade of slats that provide shade and privacy. 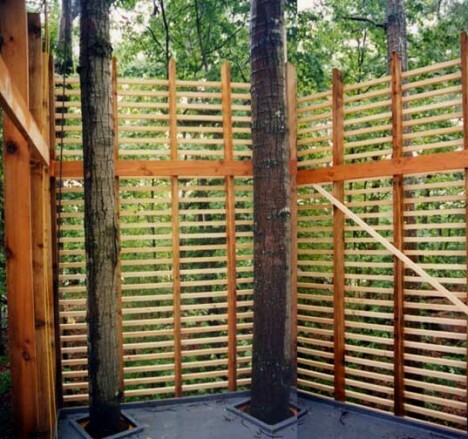 A semi-detached staircase on casters provides a stable, steady entrance to the home no matter how much the structure itself may be rocking in the wind.